Two part cushion shaped titanium case 47.0 mm in diameter. 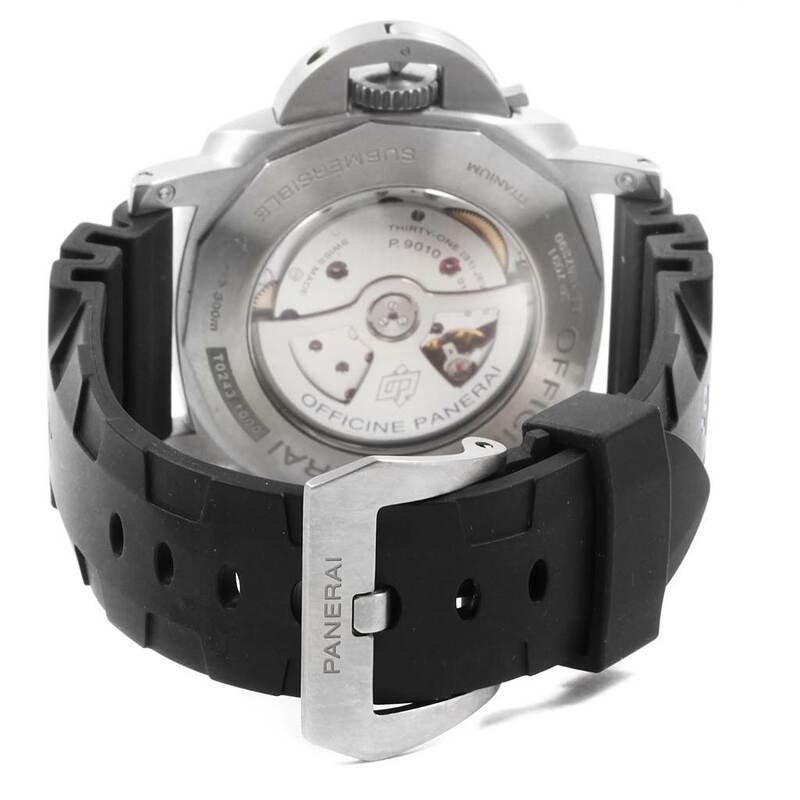 Panerai patented crown protector. 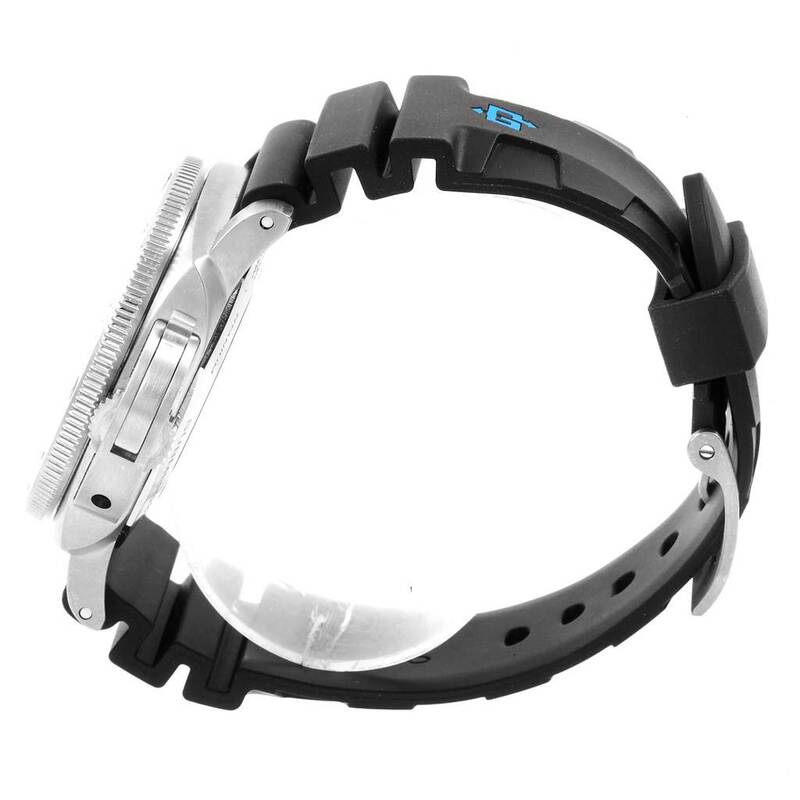 Unidirectional rotating professional diver's bezel. 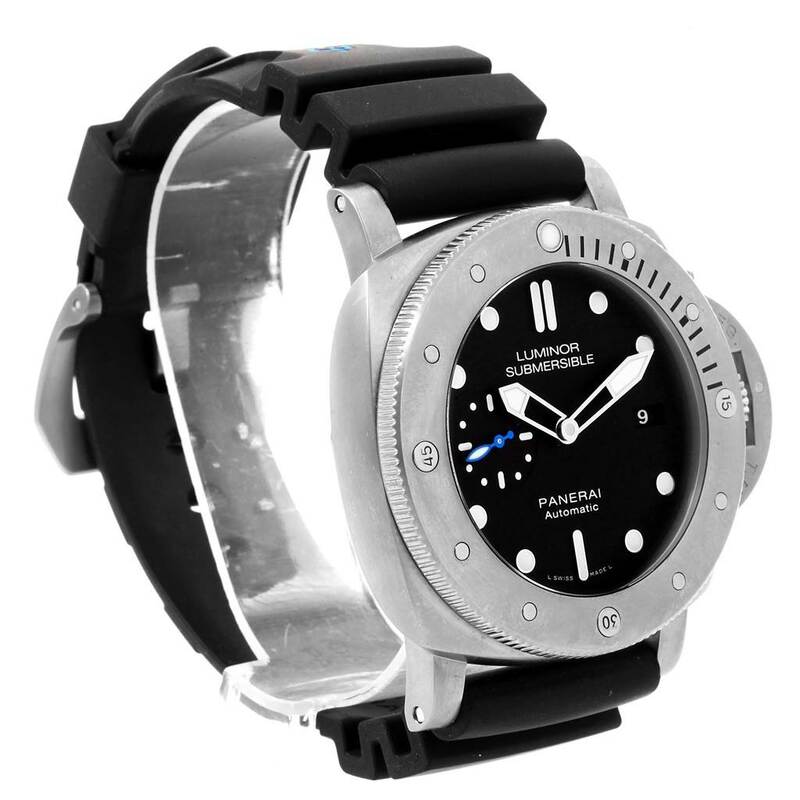 Black dial with luminous hands and dot hour markers. 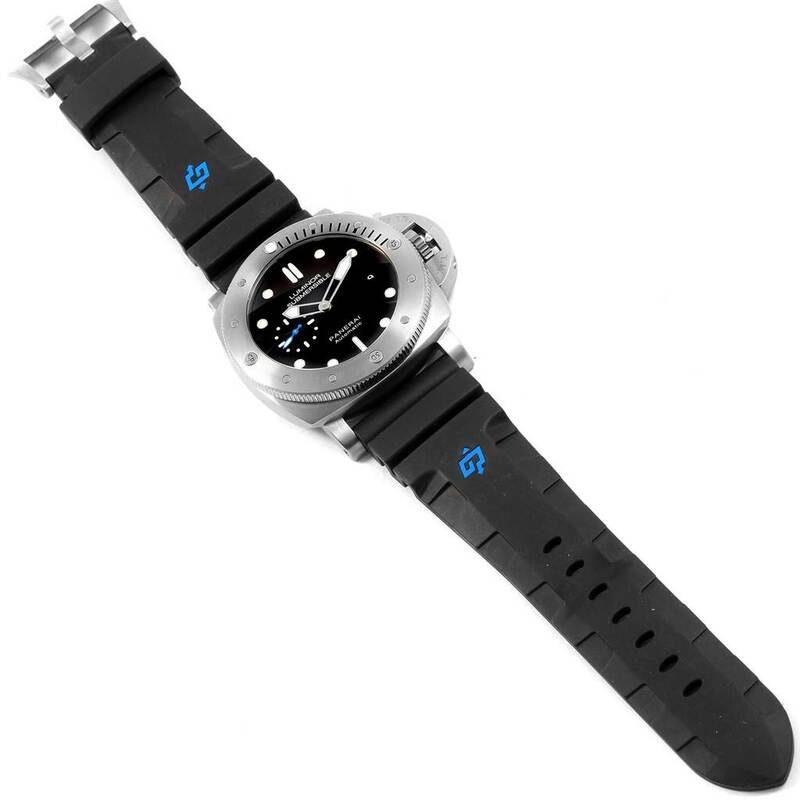 Small seconds sub dial at the 9 o'clock position, with blued steel hand & luminous indexes. Date calendar window at 3 o'clock aperture. 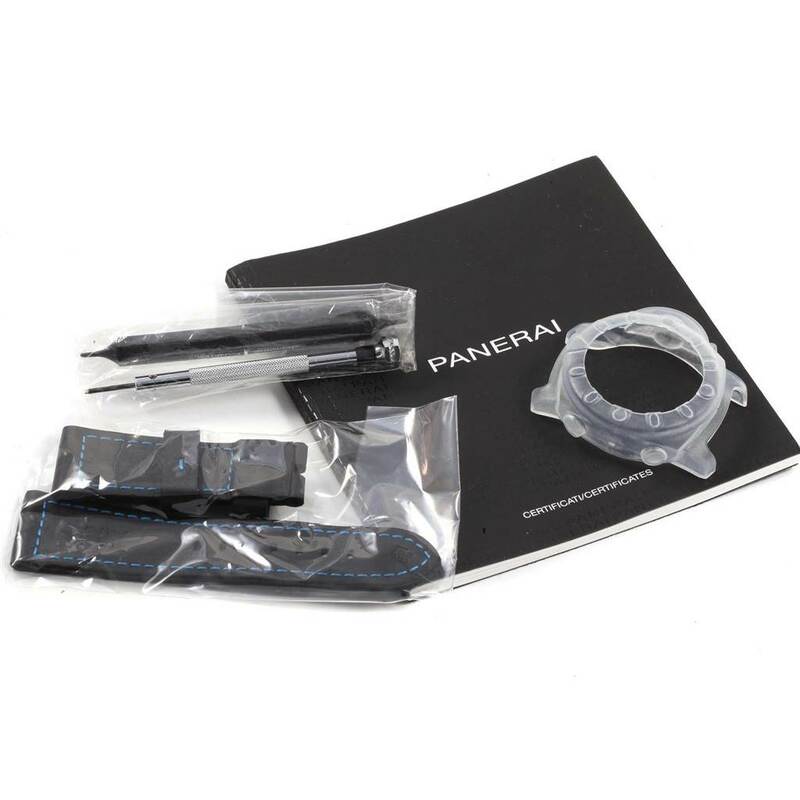 Panerai papers and extra strap. 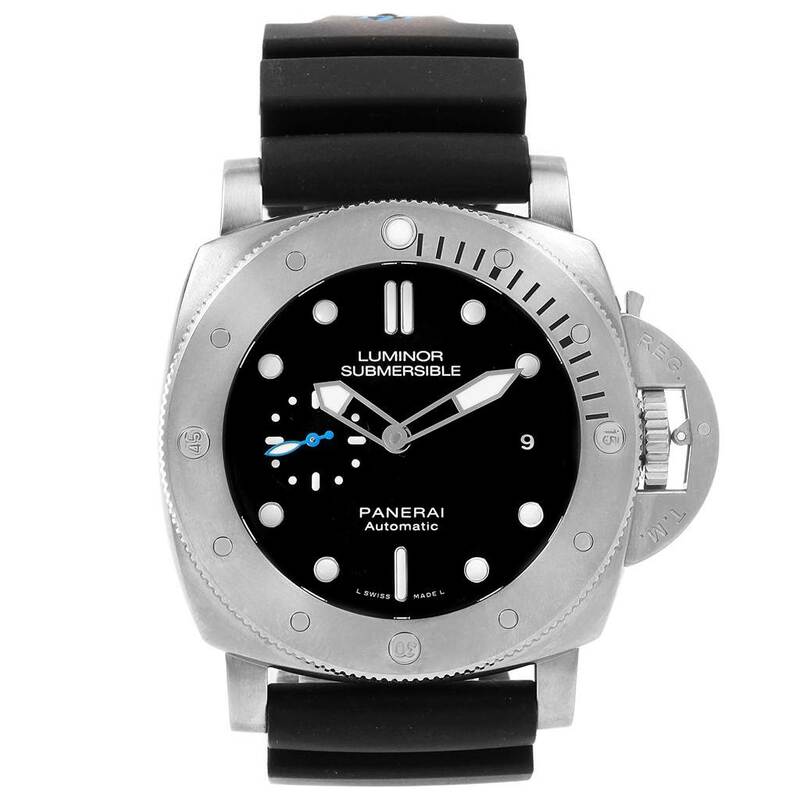 Panerai Submersible Titanio 1959 3 Days 47mm Mens Watch PAM01305. Automatic self-winding movement. Two part cushion shaped titanium case 47.0 mm in diameter. 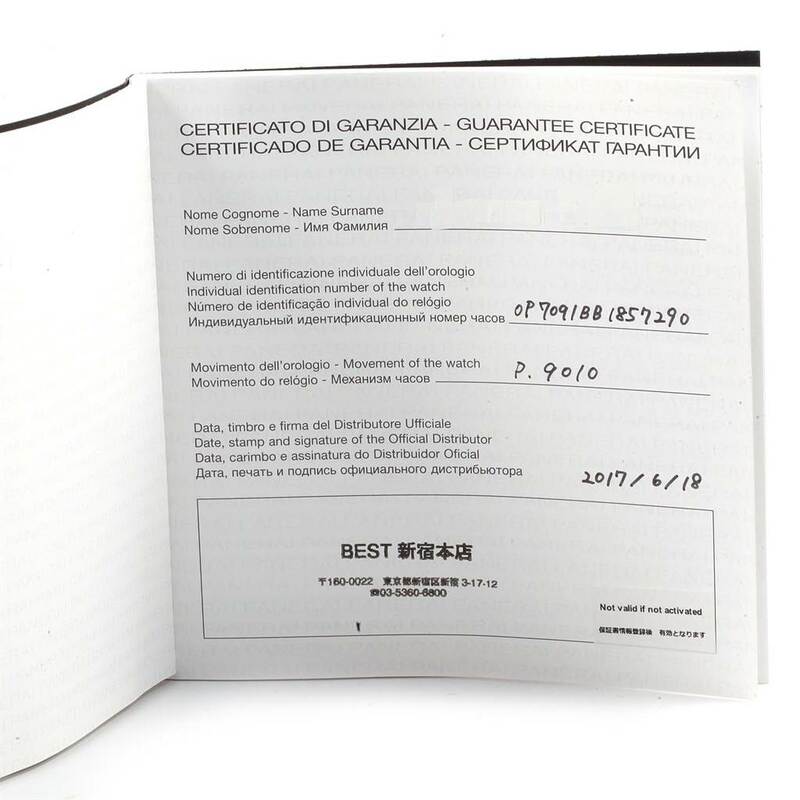 Panerai patented crown protector. 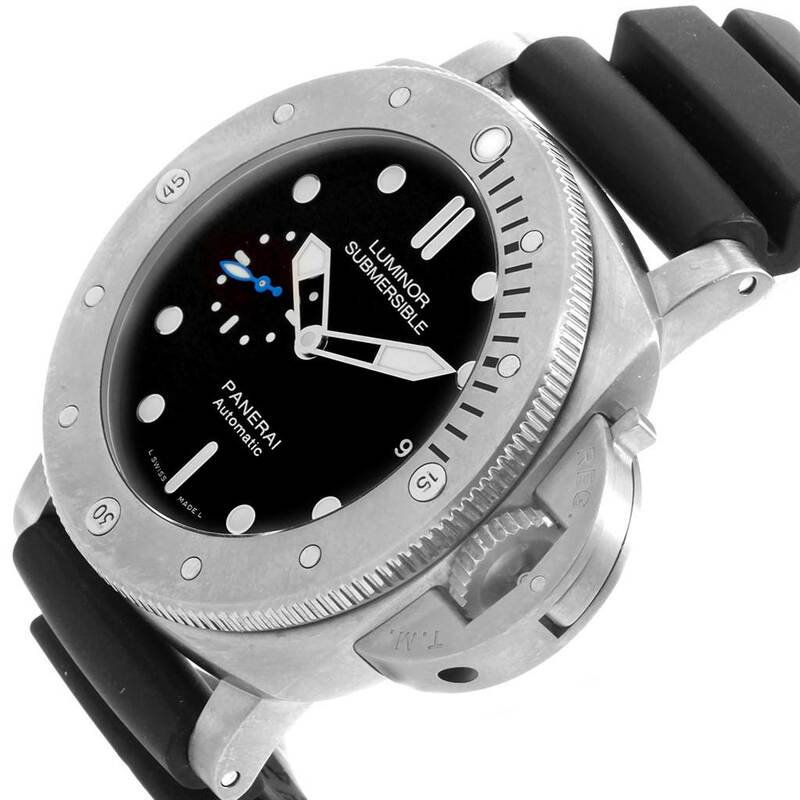 Unidirectional rotating professional diver's bezel. Scratch resistant sapphire crystal. 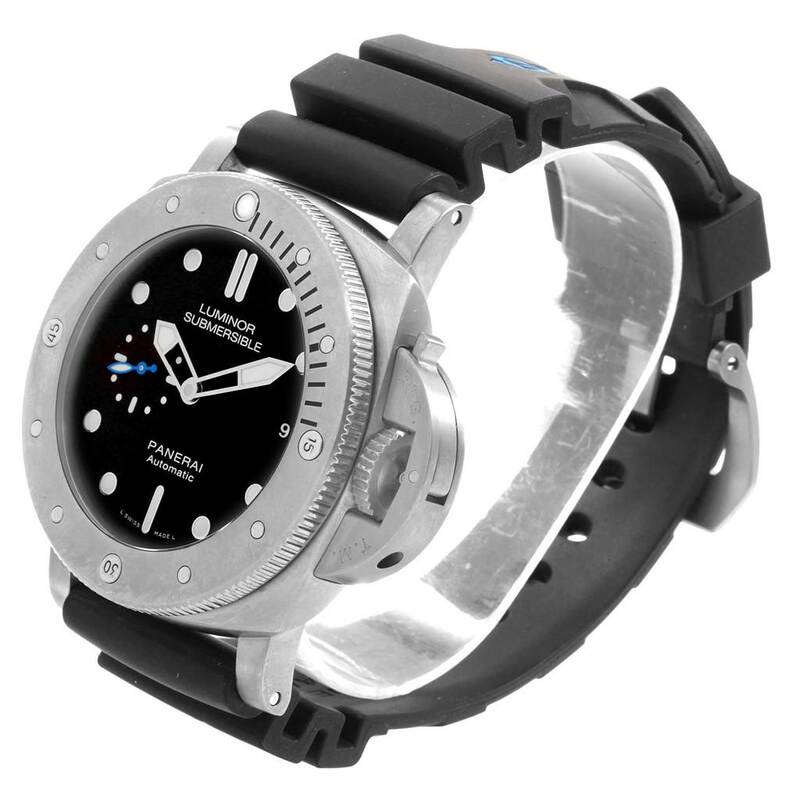 Black dial with luminous hands and dot hour markers. 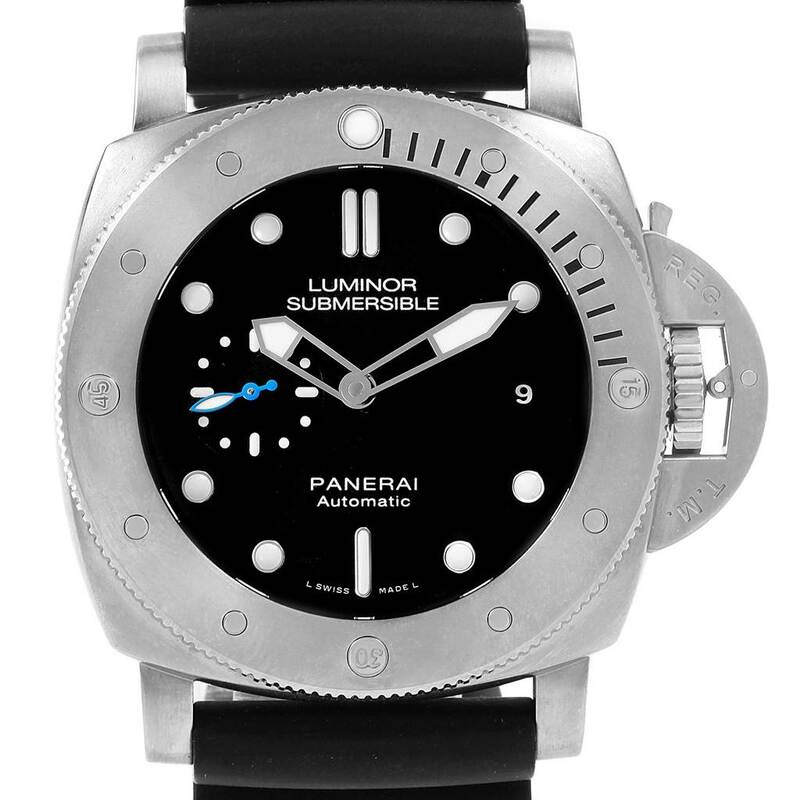 Small seconds sub dial at the 9 o'clock position, with blued steel hand & luminous indexes. Date calendar window at 3 o'clock aperture. 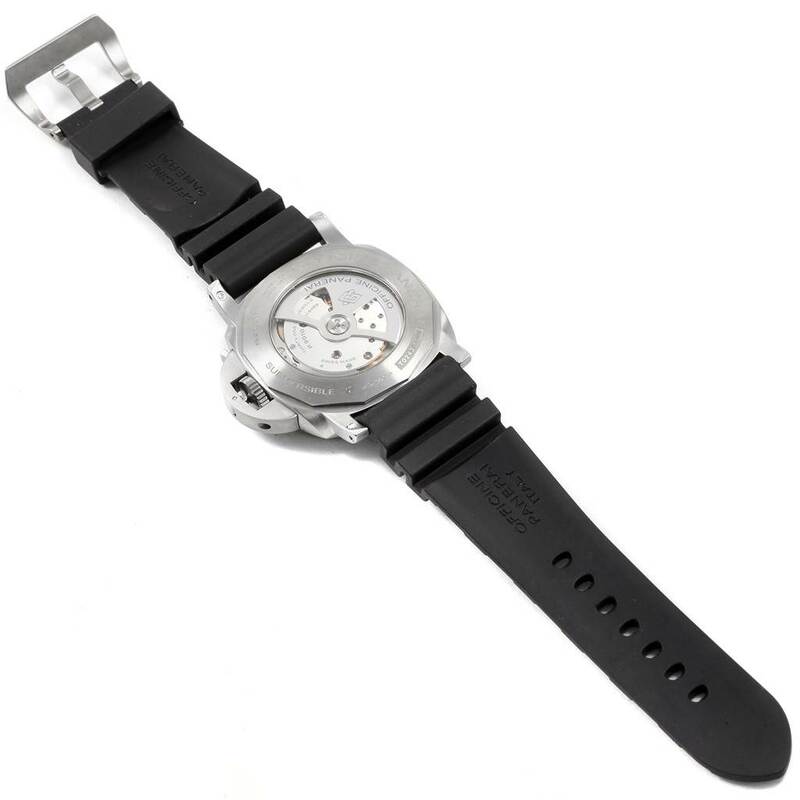 Black rubber strap with tang buckle.